Contact us for other truly authentic experiences such as: go mushroom hunting, parachute jumping, show cooking with renowned chefs, pottery workshop, like a shepherd, elaboration of organic cheese or sheep’s curds, etc. Surrealist genius Salvador Dalí was born in Figueres, where the Dalí Theatre Museum houses much of his work as well the jewellery collection that he designed between 1941 and 1970. 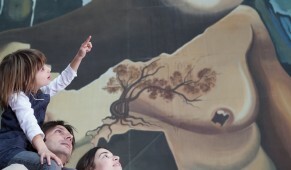 A visit to the Theatre-Museum affords an ideal opportunity to discover the unique, enthralling world of Salvador Dalí. Púbol Castle was a gift from Dalí to his wife Gala. Art collections, the couple’s famous Cadillac, Gala’s private apartments and a collection of her haute couture gowns are on display to the public, also the crypt where Dali´s wife and muse is buried, and a curious garden. A combination of them, a perfect full day excursion! The Cathedral of Girona has the widest Gothic nave in the world. Valuable art works are conserved in the interior, including the 10th-Century Beatus and the well-known Creation Tapestry, a masterpiece of the Romanesque textile art. Also you can admire the Arab Baths, a Romanesque-style building imitating the structures of old Muslim Baths, Monastry of Sant Pere de Gallingants, Church of Sant Felix, houses and bridges on the River Onyar, the Rambla de Llibertat, etc. 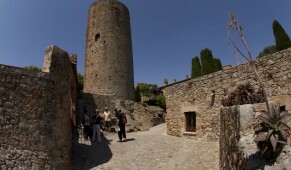 The Old Town in Tossa de Mar, has one of the most important medieval ramparts in teh whole of Catalonia, declare National Historical-Artistic Monument. The main Modernist building in the town is Casa Sans. The Municipal Museum has an extraordinary collection of paintings by European avant-garde painters who spent time in Tossa, such as Marc Chagall and André Masson. We should underline the importance of the ruins at Empúries, today one of the major archaeological sites in the country, testimony to the arrival of the Greeks (580 BC) and the Romans (218 BC) to the Iberian Peninsula. The old town of Pals, called “el Pedró”, is visible from afar on its hilltop location. Pals is classified as a Historical-Artistic Site and offers interesting windows, arches, wells, etc. from periods ranging from Romanesque to the 18th Century. The most outstanding sites include the Gothic church, the clock-tower, ramparts and six defence towers. Peratallada is the tipically medieval fortified village, with defence walls enclosing irregular streets that converge onto the Main Square. The village grew up around the castle, with its elegant Gothic façade, and a magnificent donjon, one of the bests of its kind in Catalonia. Attractive stop featuring stone houses, archivolts, ornamented doors and windows. The porticoed square is the main point of interest in Monells. The hiking and cycling network (signposted) permit the visitors discover the area from north to south and from east to west, passing within a short time from the most secluded bays to the most delightful woods, or from the main towns to the most out-of-the-way and peaceful little villages. Coastal path from Calella to Llafranc, these are two small towns on the coast of Palafrugell that were originally fishing villages. Nowadays they have become prime tourism sites but without losing the charm of their traditional origins. 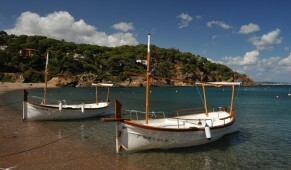 It makes a pleasant excursion, full of surprises, pretty views, unspoiled coves and beaches with peaceful waters. Most of the cycling network runs across the plain, though there are links by path and road to the coastal zones. 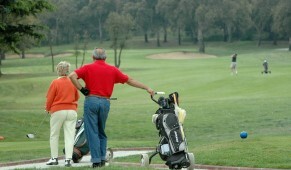 You can discover the medieval villages and the breathtaking sceneries also with your family. 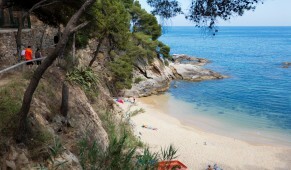 Discover the secret of the Costa Brava, where every corner hides an emotion to be experienced. Large bays with waves and wind for windsurfing and yachting; miles and miles of coastline, with coves, cliffs, long beaches and fully-equipped ports for enjoying all the pleasure of sailing; marine reserves where you can immerse yourself in the blue, mirrors of water to glide over, and wild, rugged coastline to discover from your kayak. 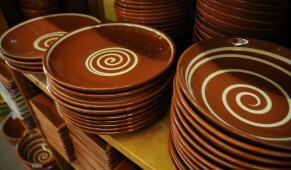 La Bisbal d’Empordà is one of the main pottery centres in the whole of Spain, with many workshops and retail shops to be explored at leisure. Terracota Museum is located in an old ceramic factory, where we can follow the entire pottery production process as well as admire the architecture of the building itself. Platja d’Aro offers a wide range of shops and brands fused with elegance and experience in one of the largest open air shopping centres in the Mediterranean. Girona: It is well worth taking a walk around the city, just window-shopping or trawling through the market stalls on a Tuesday or Saturday, or having a look at the street markets that set up throughout the year. From Girona you can take with you or sample while you are there, some of the traditional products of the area, such as the ‘xuixo’ cake, sweet ‘botifarra’ pork sausage, black earthenware, chocolates inspired by city legends, iron craftwork, objects and work produced by craftspeople, artists and other inhabitants of the city. The cooking of the Costa Brava shares with other Mediterrranean cuisines de basic elements that have made them famos all around de worls: dish, vegetables, olive oil, poultry, fruit and so on. A cuisine of taste, often based on simple, healthy dishes. Great gastronomy offer available, with a total of 20 Michelin stars awarded around the province (16 restaurants). The wines of the local Denomination of Origin Empordà-Costa Brava ensure a fitting accompaniment. Barcelona is one of the most modern and highly developed cities in Europe, with Gaudi’s Sagrada Familia (Temple of the Holy Family), the Rambla, Modernist buildings such us La Pedrera and Casa Milà, Futbol Club Barcelona Stadium, etc.